Few topics have been a more reliable source of material here on this blog than election problems and voting issues in New York State. Even before the chaos created by Hurricane Sandy, the Empire State has struggled recently with election issues: fights about whether to move the state primary to accommodate military and overseas voters, tiny type on ballots, strange vote-counting procedures and overheating voting machines. There have been glimmers of promise, including the State’s adoption of online voter registration, but it’s undeniable that overall there is much work to be done on improving the voting process. Last Friday, the New York State Bar Association added its weighty voice to the discussion by approving a 72-page report by its Special Committee on Voter Participation calling for reform and making specific recommendations about what those reforms should resemble. + approving “limited, in person early voting” for a few days before Election Day. Improve ballot design to minimize voter confusion and mistakes by boosting the minimum font size to 12 points; clear away clutter such as the required “closed fist” (with pointing finger) symbol at the head of rows and columns; simplify voting instructions; and provide ballots in multiple languages to encourage voting among those for whom English is not their first language. This is a remarkably detailed report with an ambitious vision for the future of New York elections. Here’s hoping the Legislature will take note and consider one or more of the changes suggested by the report. 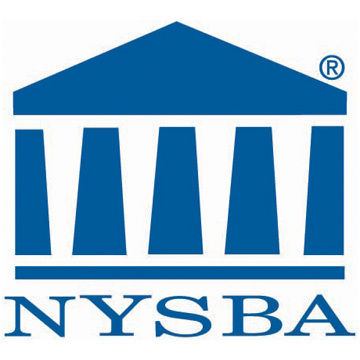 Be the first to comment on "A New Type of Lawyering Up: NY State Bar Association Calls for Election Reform"